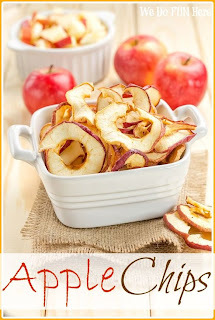 20 Apple Recipes for Fall! 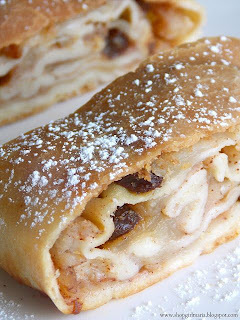 Some of the best apple recipes on the web that will have you drooling and ready for fall! First of all, I want to say a HUGE thank you to everyone who linked up this week to Wake Up Wednesdays! It was our biggest week yet, and it has been so exciting and inspiring to look at what all of you are up to each week. To say the least, it is humbling to see how much amazing talent there is out there. If you haven’t linked up yet, head over! 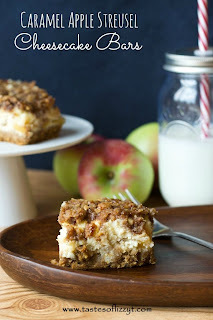 This week there were SO MANY amazing apple recipes that were linked up. Here are some of the ones that caught my eye. 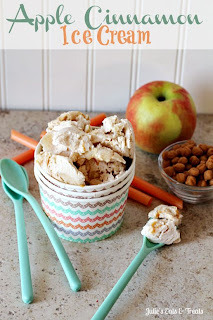 Thanks so much for including my caramel apple spice recipe in this awesome roundup! 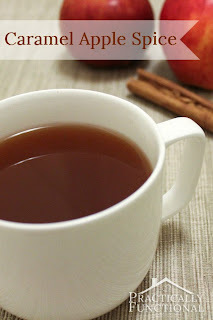 Jessi @ Practically Functional recently posted…11 Warm And Delicious Fall Drinks! Thanks for linking up Jessi! 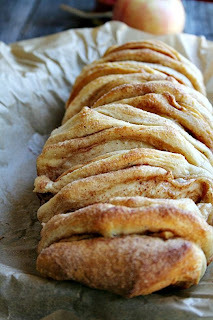 It looks soooooo warm and delicious! This is such a fabulous list, Lisa! 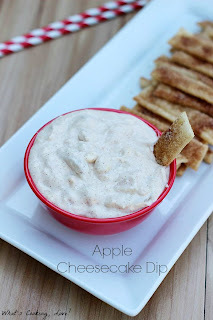 Thank you for including my Candy Bar Apple Dip – hope you’re having a great weekend! Of course Becca, thank you so much for linking up! 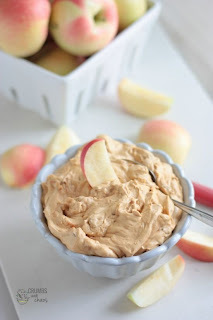 Great apple round up! 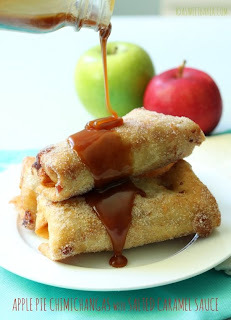 Those apple egg rolls look amazing! 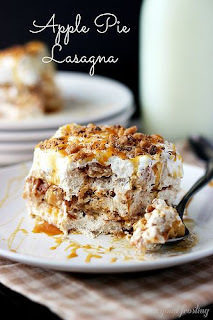 Thanks so much for sharing my Apple Pie Lasagna! 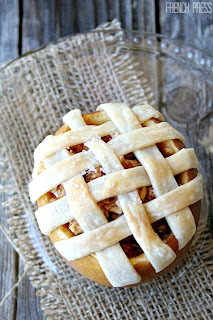 What a nice apple round up. Have a great weekend Lisa! 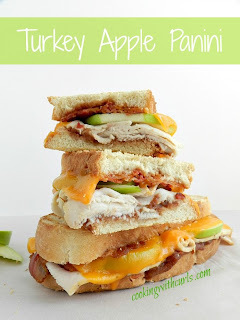 Wow, these all look amazing!!! Thanks for posting, I want to try them all!!!! 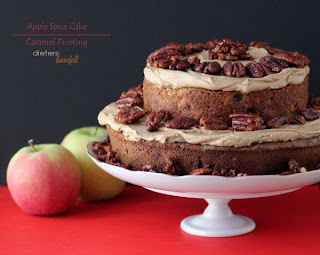 Julie @ Julie’s Eats & Treats recently posted…Couponing & Cooking’s 2nd Birthday Giveaway Celebration! 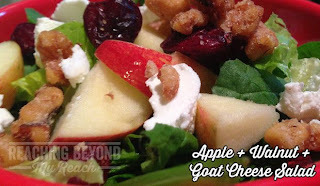 Thanks for linking up Julie! 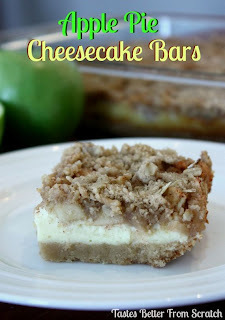 Thanks for featuring our cheesecake bars, Lisa! These all look fabulous! Thanks for linking up!! You always bring such amazing things to the party! 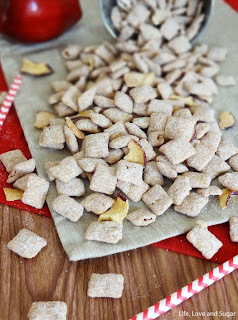 Thank you for featuring my Caramel Apple Puppy Chow! 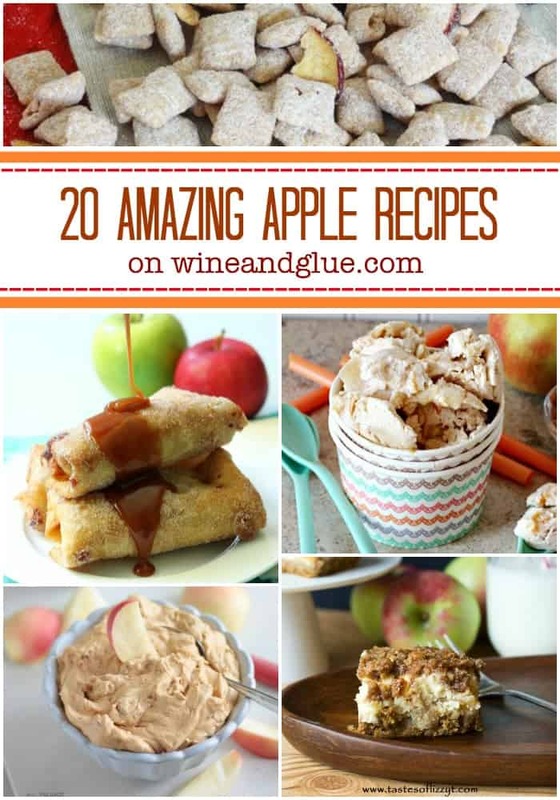 All those apple recipes look amazing! 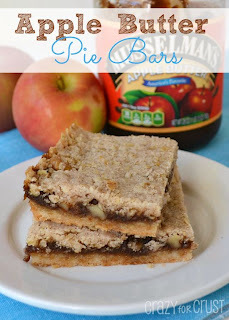 Such a great recipe, Lindsay! Right? Why diet when you can eat all sorts of combinations of pumpkin, apple, nutella, and chocolate?? 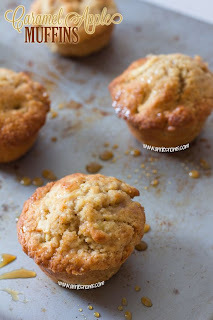 Oh and did someone say streusel? Wow. So many recipes to choose from. I’ll make sure to try them out. Thank you for sharing. 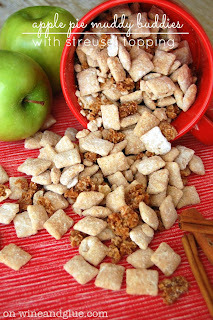 Apple recipes are always great for the fall and the holidays. 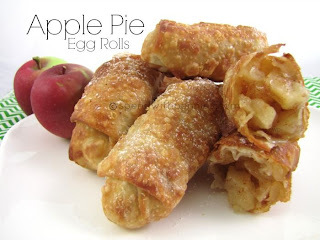 I will have to try some of the for my family, they will love them.